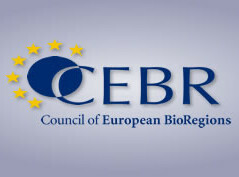 The Council of European BioRegions (CEBR) is a network of biotechnology support professionals that support their local biocommunity through direct services including networking, incubation, partnering and cluster promotion. It is the first network of its kind to bring together such organisations and members will develop and implement new biotech support activities across Europe. After the first full 3 year term of CEBR asbl, the board is being refreshed. From February 1 2016, a new board term will commence, with board members approved by the General Assembly according to the asbl handbook. Following a nomination process last year, CEBR has 10 new board members from 9 countries, including Atlanpole Biotherapies ‘s Marketing Manager, Gregory Bauer.